Families in some of San Antonio’s poorest neighborhoods have been empowered economically thanks to Toyota’s targeted workforce-development strategy, and the same thing can happen in Brownsville and the Rio GrandeValley. Families in some of San Antonio’s poorest neighborhoods have been empowered economically thanks to Toyota’s targeted workforce-development strategy, and the same thing can happen in Brownsville and the Rio Grande Valley. That’s according to Mario Lozoya, director of government relations and external affairs for Toyota Motors North America, which builds all of its Tundra pickups and roughly half its Tacoma pickups at the San Antonio facility known as Toyota Motor Manufacturing Texas Inc. (TMMTX). The plant started production in 2006 and has 3,200 employees. Lozoya addressed Valley business, economic development, education and political leaders at a presentation at IBC Bank on Monday. One purpose of the event was to get private and public stakeholders together to jump start creation of a Valley chapter of the Texas Federation of Advanced Manufacturing Education (TX-FAME), which Toyota started in San Antonio to address workforce needs. The event, put on by the Greater Brownsville Incentives Corp., Hernandez Foundation and IBC Bank, also sought to address a longstanding workforce-development gap that impedes the Valley’s ability to attract advanced manufacturing investment and the resulting jobs that would boost the regional economy. Serving as master of ceremonies was Julian Alvarez III, the commissioner representing labor on the Texas Workforce Commission. 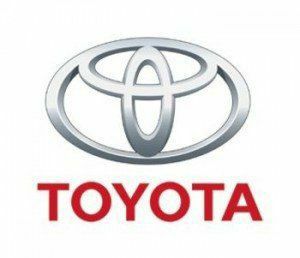 Lozoya said Toyota did not anticipate the workforce challenges it would face with its San Antonio plant, and that years were spent pursuing flawed strategies that failed to produce the necessary pipeline of multi-skilled workers — robotics technicians, for instance, as opposed to production-line or engineering employees, who are relatively easy to come by. The company’s philanthropic spending is geared in large part toward growing its workforce, Lozoya said, though TMMTX was spreading its spending too thinly to be effective. The plant shrank its spending footprint incrementally from six counties in the San Antonio region down to a “backyard strategy” encompassing a 28- by 30-mile section of the city’s south side, where the facility is located, and where the population is more than 81 percent Hispanic or Latino. Focusing its philanthropy and job recruiting/training efforts — including high-school apprenticeships and scholarships — on a much smaller target did the trick, Lozoya said. TMMTX made huge strides in filling the multi-skilled pipeline, though there’s still work to be done, he said. After going about workforce development wrong for five or six years, TMMTX essentially solved its problem in 18 months, Lozoya said. The TX-FAME apprenticeships allow junior high school students to work for TMMTX during the summer for $15 an hour, then go to work for the plant after high school or enter Toyota’s two-year community college program on a $30,000 scholarship. Apprenticeships are available through all the companies that make up TX-FAME, including H-E-B. The result is that young men and women in south San Antonio are making $60,000 or $70,000 a year working at TMMTX and buying homes and cars, Lozoya said, noting that TMMTX’s payroll is $25 million a month. “That’s what advanced manufacturing brings to your community,” he said. Lozoya said Brownsville and other Valley communities can solve the workforce issues and that founding a regional TX-FAME chapter is a good start. Rather than poaching scarce workforce from each other, the member-companies work together to make sure everyone’s workforce needs are addressed. TX-FAME is industry-driven, engaging with high schools and community colleges to ensure job-training programs are producing students with the skills advanced manufacturers need. If a community doesn’t have that, then manufacturers will go elsewhere, Lozoya said. TMMTX has spent $4 million on education in the last three years, he said. Lozoya told those gathered Monday that they haven’t been bold enough about axing ineffective job-training and redirecting the funds to programs that work.